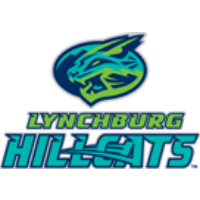 Fighting the rain, the Lynchburg Hillcats cruised to beat the Potomac Nationals, 12-0, on Saturday night at City Stadium. The Hillcats (21-18) picked up their fourth shutout win of the season in their defeat of the P-Nats (22-16). The game endured a 31-minute rain delay in the bottom of the fifth inning. Lynchburg opened the scoring with a six-run sixth inning, in which they sent ten hitters to the plate. Alexis Pantoja drove home the first run of the game with an infield RBI single. Mitch Longo followed a single of his own, and then Luke Wakamatsu ripped an RBI double to right field, scoring Pantoja and putting runners at second and third. Connor Capel then produced an RBI groundout to score Longo. The next hitter, Gavin Collins, lined an RBI double to right-center field, plating Wakamatsu and extending the Hillcats lead to 4-0. Anthony Miller continued the scoring spree by drilling an RBI single that scored Collins, and Miller crossed home plate on a Jodd Carter RBI double to end the scoring in the sixth. The six-run frame matched a season-high for the most runs the Hillcats have scored in an inning this season. Lynchburg loaded the bases in the fifth. Miller and Carter hit back-to-back singles, and Dillon Persinger was hit by a pitch. With Logan Ice due up, heavy rain started to fall forcing the delay. Following the 31-minute wait, Ice ripped an RBI single to right field, scoring Miller and pushing Lynchburg’s lead to 7-0. In the sixth, Miller crushed a two-run home run, his second of the season, to stretch the Hillcats advantage to 9-0. In the ninth, Lynchburg scored three more runs Carter drew a bases-loaded walk and Ice poked a two-run single to make it 12-0 Hillcats, capping the scoring. The Hillcats had six players tally multi-hit games on Sunday. Lynchburg moved to just 1.5 games behind Potomac in the Carolina League North Division standings. Zach Plesac (Win, 3-2) fired six shutout innings. He allowed just three hits and struck out three. Ben Krauth, Anderson Polanco and James Karinchak each pitched a scoreless inning for the Hillcats in relief. P-Nats starter Matthew Crownover (loss, 1-4) allowed six earned runs on nine hits in four innings. Lynchburg’s homestand concludes on Sunday, with the finale of the rain-shortened two-game series against Potomac. Left-hander Tanner Tully (2-3, 3.92) will start for the Hillcats opposite of righty Tyler Mapes (3-0, 2.40) for the P-Nats. First pitch is scheduled for 2 p.m. at City Stadium. Sunday will be Sandlot Sunday, featuring post-game Kids Run the Bases, Family Catch In the Outfield and Wiffle Ball. Max Gun and Matt Present will be on the air at 1:50 p.m. with the Hillcats pre-game show on TuneIn Radio and the Radio434 App.